Union Finance Minister Arun Jaitley was the President of the Delhi and District Cricket Association (DDCA) from 2000 to 2013. NEW DELHI: Chief Minister Arvind Kejriwal today appealed in the Delhi High Court against its joint registrar's decision to dismiss his plea to summon the minutes of meetings of cricket body DDCA between 1999 and 2014 in connection with a defamation suit filed by Union Minister Arun Jaitley. Jaitley was the President of the Delhi and District Cricket Association (DDCA) from 2000 to 2013. The appeal came up for hearing before Justice Manmohan who adjourned it to January 17 as Jaitley's lawyer was not available. Kejriwal has challenged the October 31, 2017, decision of a Joint Registrar of the high court who, while dismissing his plea, had said that the chief minister cannot be allowed to use the judiciary for a "roving and fishing enquiry". Advocate Anupam Srivastava, who filed the plea on behalf of Kejriwal, told the court the DDCA's minutes of meetings were sought to be summoned, as during Jaitley's cross-examination he had refused to admit photocopies of these documents since they were not originals but copies. In his October 31, 2017, decision, the Joint Registrar had said it was not Kejriwal's defence that he made the alleged defamatory statements based on the records he wanted to summon and hence cannot be allowed to lead evidence beyond what he had pleaded in his application. The Joint Registrar had held that Kejriwal "has failed to justify the grounds for the summoning of the subject record". 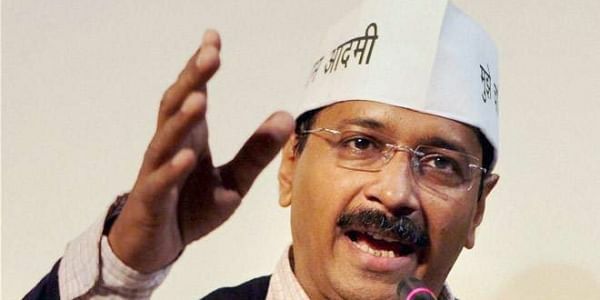 The instant appeal has been moved by the chief minister in the Rs 10 crore defamation case filed by Jaitley against him and five other Aam Aadmi Party (AAP) leaders -- Raghav Chadha, Kumar Vishwas, Ashutosh, Sanjay Singh and Deepak Bajpai, for accusing the BJP leader of corruption when he was the President of the DDCA. Jaitley had already denied all the allegations by the AAP leaders in December 2015 and filed a civil defamation suit seeking Rs 10 crore damages from them, claiming they had made "false and defamatory" statements in the case involving DDCA, thereby harming his reputation. The AAP convenor is facing another Rs 10 crore defamation suit by Jaitley after his former lawyer, senior advocate Ram Jethmalani, used "scandalous words" while cross-examining the BJP leader. Kejriwal, however, had told the court that he had not instructed Jethmalani to use such words against the minister, even though the senior advocate, who announced his retirement from the profession, had said the chief minister had asked him to use abusive language.